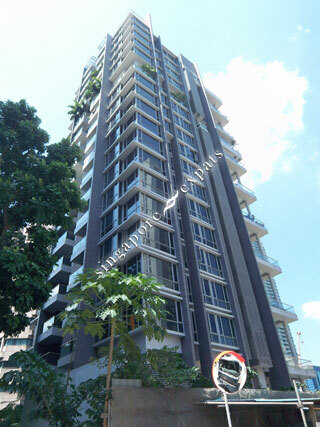 Cuscaden Royale is a exclusive 46-unit freehold condominium located at Cuscaden Walk, off Orchard Boulevard, one of the most sought after location in Singapore. Just across from Cuscaden Royale, the best shopping experience of Orchard Road beckons. The world’s leading fashion labels and designer couture are within short reach when ever you need that special outfit for the evening. At Cuscaden Royale, tune to the exciting and endless array of prime dining, entertainment and shopping malls along Orchard Road. Some of Singapore's finest schools and institutions are close at heart such as Raffles Girls School, International Singapore School (ISS), Overseas Family School and Chatsworth International School. Cuscaden Royale is a stone's throw away from Orchard MRT Station which ensures quick accessibility to the Central Business District (CBD) and the rest of Singapore. A small place building recommended for young couple without children. As the tenant are mostly couple or expats with less than 3 person in their family. The tenants on some floor are very noisy on weekends nights and the management have not been helpful in resolving those issue. In addition, the facilities are may look well maintain but some of them are broken so be careful. What you see maybe not be the best.